British tech giant ARM has performed admirably in the past three months, with the chip design company pointing to the growth of smartphones and mobile computer, but also new markets in digital televisions, as key to its success. 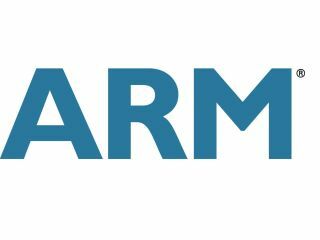 ARM has established itself as a rare British technology success story – and its designs are licensed by some of the most influential companies on the planet. The growth of the smartphone and tablet world has aided ARM, but the company is also looking to microcontrollers and the increasingly complex tasks that televisions are being asked to do. This has seen pre-tax profits hit an incredible £38.8 million for the quarter – a 60 per cent growth year-on-year. "Q3 was a good quarter for ARM," said chief executive Warren East. "Not only are we benefiting from growth in applications where we are the established market leader, including in smartphones and mobile computers, but we are gaining share in markets like digital TV and microcontrollers. "Our partners are also starting to develop chips in new markets for ARM, such as servers and laptops, creating longer-term opportunities. In addition, both physical IP and Mali graphics performed well with important license wins and increasing royalty revenues. "Given the broadening growth opportunities that are available to us, we have accelerated investment in R&D in the first nine months of the year whilst also increasing both profits and cash generation." 900 million mobile devices –including phones and computers – are now using ARM processor-based chips – and another 600 million are present in everything from toys to televisions cars and cameras. Nice to be celebrating a British success story.